Intro to Spiritual Practice, Occultism & Extraterrestrial I. It's safe to say we’re not in Kansas anymore. It is impossible to be just a “Texan” or an “American,” or even just an “Earthling” now. In these crazy times, freedom calls out to each and every one of us, but it’s as if we’re still stuck in Oz. Now that we’re over the rainbow, we must get beyond the rainbow. Only in renewing the cosmic connection do we find our way home. 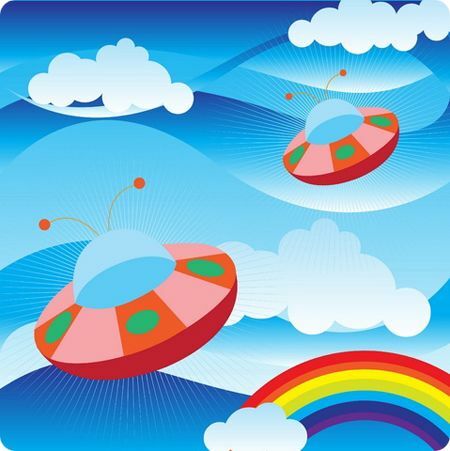 A broad, diffuse, and overwhelming barrage of information, misinformation, and disinformation exists regarding Unidentified Flying Objects (UFOs), extraterrestrials (ETs), and their connection with occult conspiracy. Much of what is written on this subject stems from paranoia and a deep misunderstanding of these phenomena. Things are not what they appear to be, and few people seem willing to look beyond those appearances in order to see through and beneath the surface to the underlying spiritual principles that form the basis for these multidimensional realities. On the other hand, many authors know precisely the value of such knowledge and the power that comes from such knowing. It’s like the proverbial pot of gold at the end of the rainbow. Unfortunately, they don’t want to share it. Therefore, they keep the truth about its whereabouts shrouded in secrecy while erecting intriguing signs that do nothing more than mislead. Some authors tell us that there is no pot of gold and that something else dreadfully evil and dangerous awaits us. Why do they do this? Why don’t they want us to know the truth? Because the truth is liberating. Genuine understanding of the underlying spiritual principles forming the basis for occultism leads to self-empowerment, autonomy and freethinking. The authors who don’t want us to know the truth about it are the reactive authors with secret agendas. They point to various individuals and groups as either knowingly or unknowingly involved in their conspiracies, when the authors themselves are the true conspirators. The word occult means “hidden” – “secret” –“mysterious.” It is often associated with the so-called mystic arts like magic, astrology, alchemy, and any other endeavor that cannot be rationally explained in the context of current scientific understanding. Practical occultism is really a form of psychology – a spiritual science of mind. There was a time when reading, writing and arithmetic were considered occult arts. Today we use these tools on a daily basis. Does that make us evil Satanists, alien reptiles, or Illuminati conspirators? Of course not. The common sense approach is the only approach when attempting to understand what it’s all about. 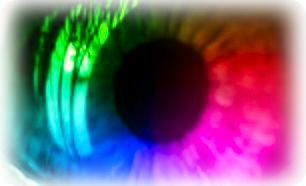 And when the veil is parted we see a precious jewel reflecting the rainbow in the pure light of day -- no longer “occult” or hidden from view. Supersensory awareness and the manifestation of seemingly supernormal abilities are just expressions of energies lying dormant within us all. These lesser-known aspects of spirituality are usually attributed to the world’s great sages. Jesus and many spiritual leaders were trained in the esoteric mystery schools behind the veil of the world’s spiritual traditions. These schools, for the most part, remain “occult” or hidden from ordinary view. The origin of these schools is extraterrestrial. 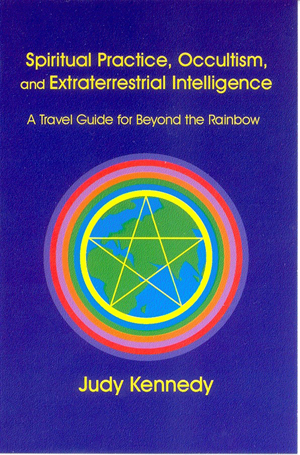 This travel guide for Beyond the Rainbow comes directly from the way-showers and is the way of the hero’s journey. 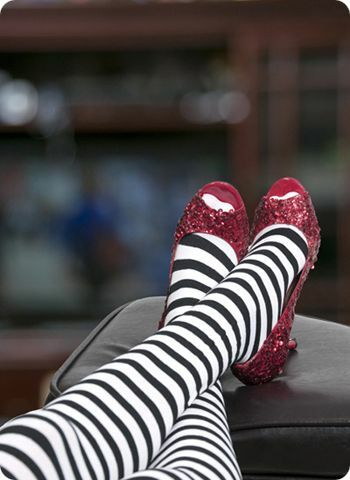 My favorite hero whose journey is the model for this story is Dorothy from the movie, The Wizard of Oz. 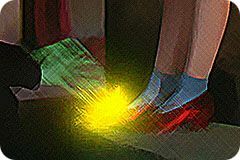 The Wizard of Oz Mysteries refer to the sacred truths that are woven into the symbolism of this beautiful, much loved story. The only reason why anything remains a mystery is because the knowledge of our relationship to its creation is lost. That’s why we must go the source – the origin of the teachings. When speaking about a tale expressed in a book or a movie, the meaning becomes a mystery when it gets lost behind all the metaphor and symbolism. As we unravel the metaphor, we solve the mystery. The story of The Wizard of Oz as portrayed in the classic film was my earliest exposure to Ageless Wisdom. As a faithful disciple, each year as far back as I remember, I sat in front of the television set, absorbing the lessons in more ways than one, and loving every minute of it. It was a tradition. Though many authors have analyzed this tale from a spiritual perspective and done a marvelous job, none have yet to interpret certain symbols and scenes from it in quite the same way that I have. Therefore, I offer bits and pieces of what I’ve learned from these mysteries in the form of a unifying theme throughout the book. Following this thread, we sort through the tangled web of information available regarding UFOs, ETs, and their connection with occult conspiracy. We dispel the disinformation, synthesize what remains, and arrive at a sound multidisciplinary overview of the truth with startling conclusions. The conclusions are timely and largely relevant to current sociopolitical problems that impact each and every one of us. The conclusions also point to specific solutions. 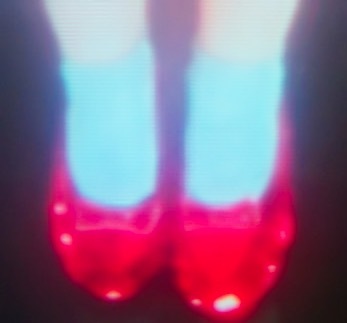 It’s up to each of us to implement these solutions uniquely, for we have our own gardens to grow – we must each follow the yellow brick road in our own ruby red slippers and at our own individual paces. The reason for this is because there is no greater teacher than the inner teacher who speaks through your heart alone, and there is no greater truth than the integrity of your own experience. Part 1 is all about being over the rainbow. 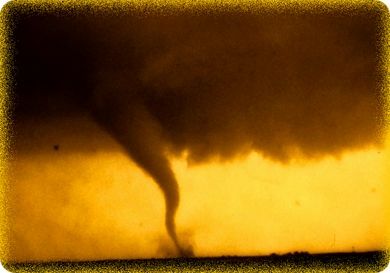 Leaving the purely personal perspective of our Kansas soap opera behind us, we venture over the rainbow to find ourselves thrust into the middle of a global perspective on the nature of reality. We are introduced to Ageless Wisdom through a discussion, overview and comparative analysis of the Western and Eastern esoteric mystery traditions. These traditions are the source of all so-called occult practices. Understanding these practices in this context is critical because it is the only way we can properly understand the role that these schools play in the cosmic connection with regard to UFO and ET phenomena. 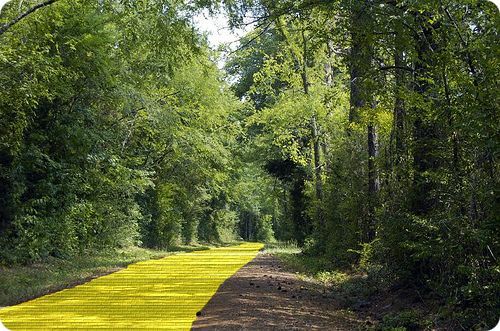 Part two is all about following the yellow brick road. Once our feet are firmly set upon the Path, we find spiritual friends, tools and accessories to assist us on our magical journey. Therefore Beyond the Rainbow reveals that practical occultism is spiritual practice. It illustrates the basic principles in simple terms and offers practical instruction for personal confirmation. Though methodology may vary slightly from East to West, the basic truths – the spiritual principles founded on cosmic law, are the same. Subsequently, a firm foundation is provided upon which to understand UFO/ET phenomena in itself because we are dealing primarily with psychology – the mechanics of consciousness and the more subtle processes of awareness – human and extraterrestrial. The underlying principles are explored to a sufficient degree for enabling an adequate comprehension of a new cosmology for integration into our current world view and any view to come. In order to understand the roles of spirituality, religion, and occultism in our lives, we apply the principles of transpersonal psychology. Transpersonal psychology is a holistic approach to awareness and healing which integrates psychology, religion, and the study of consciousness. Derived from the Latin trans meaning beyond and through, and persona or mask, the transpersonal approach combines the metaphysical-mystical perspective of the world’s perennial philosophy and the psychological research of modern times. It extends beyond focusing primarily on personal development by affirming the centrality of the spiritual quest. Part Three is all about the Land of Oz. We get to know all the strange creatures that inhabit this land and how to communicate with them. All aspects of UFO and ET phenomena are fully addressed, especially in relation to the origin of the human species. The connection between these phenomena and the ancient mystery schools is revealed in a historical context and thoroughly explored. Part Four is all about the flying monkeys and the haunted forest. This is the scary part. We meet the muddlers face to face – the true conspirators – the seemingly “evil ones” who work to keep us ignorant, enslaved, distracted, and paralyzed with fear. They place obstacles on the path. They erect misleading signs. They tamper with the truth by mixing it with untruth and scattering the pieces. We learn to separate the wheat from the tares, put the pieces of the map back together, and then proceed to the witch’s castle where we confront our worst fears and free Dorothy from the nightmare. In order to understand the politics of conspiracy, we unflinchingly explore the psychological dynamics operating behind those processes. This is social psychology – the study of the behavior of groups of people in contrast to the individual. Social psychology sheds much light on the politics of conspiracy, especially with regard to the UFO/ET phenomena in connection with occultism. 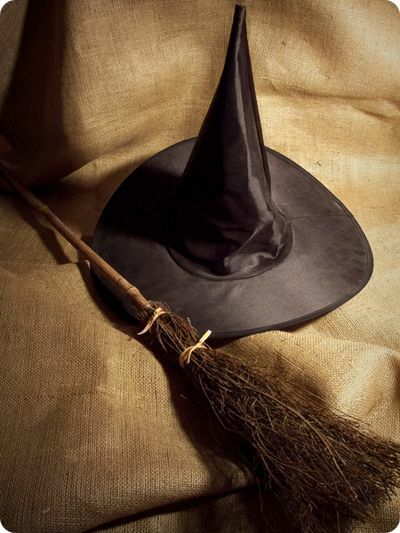 Part Five is all about reclaiming the broomstick. We cannot deny that our efforts to understand ourselves, as groups or individuals in relation to UFO/ET phenomena, is a spiritual quest in and of itself, for the concepts of cosmos and spirit are intimately related. The word spirit comes from the Latin spirare, meaning to breathe. Life requires breathing; the very life breath is Spirit – the animating principle behind all forms according to many spiritual traditions. No matter what planet we’re from, we’re all in this together because we all share space. We all have bodies or forms of some kind that intermingle with that space. The substance of cosmic energy, sometimes called Ki, fills that common field. Learning how this energy interacts with and permeates the world of form and physical manifestation is learning that mind or awareness is life itself. Awakening the dragon is understanding the physiology of awareness, which is essential if we are to heal and in turn heal the world. The ability to recognize and manifest this power in our lives for the benefit of one and all doesn’t just belong to the few or the spiritually enlightened – it belongs to all of us. Reclaiming this truth about our spiritual heritage is reclaiming our bodies in more ways than one. Part Six is all about closing encounters. We are rewarded for our efforts in Oz, and learn that our new powers must be wielded responsibly and with compassion. We learn to relate to ourselves and a world of diverse beings in ways we never dreamed. In order to communicate intergalacticly and co-exist peacefully, we master a universal language – the secret language of music – a language that has its origins in the esoteric mystery schools founded by our extraterrestrial ancestors. This language is based on sound, color, and imagery, which are the basic tools of every occultist and which comprise the very matrix of all mystical experience. This is the process – the most effective way – to make and renew the cosmic connection. Part Seven is all about going home. Coming home to who and what we really are is waking up to an expanded, multidimensional reality. Kansas will never look the same again because we are transformed. A method often used in transpersonal psychology to understand the universe and ourselves involves the application of Jungian analysis to the interpretation of metaphor and symbolism in dreams, stories, myths and legends which often constitute the basis for world religion. Mythology, anthropology and cross-cultural studies are integral in this regard when exploring an interdisciplinary approach to truth. In the new millennium, however, we are finding that these stories, myths and legends have a dual meaning and existence when considering UFO/ET phenomena: they are both symbolic and literal. This concept is explained by the Hermetic Axiom – a universal law known to all occultists that basically goes, ‘as above, so below – as within, so without.’ Nearing our destination, we see the integration and actualization of our understanding of this concept from both Western and Eastern perspectives into our very lives throughout the entire journey, bringing us full circle and beyond the rainbow, ready to awaken from the dream. To truly understand what has happened on this magical journey, we look within once more – because that’s where all projections of reality begin. As is written on a plaque above the door to an ancient mystery school, we read the imperative that is timeless in essence: KNOW THYSELF. To that end, we begin our adventure. If you cannot afford to pay full price for my book, please let me know and I will be happy to provide you with a pdf copy for a small donation of your choosing. All blessings to you! PLEASE NOTE that a new edition of the book is in progress. Meanwhile, please feel free to peruse some minor course corrections HERE! And if that link isn't cooperating, please just see the drop down menu on this page and go to CORRECTIONS. Thanks!